Job satisfaction among employees is influenced by a number of factors. The working environment, individual perception of the management and age are among some of the reasons that influence the level of job satisfaction. 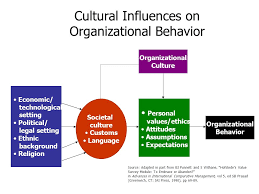 The culture and behavior of the organization influence how the personnel perceives the management. In their 30s, workers are satisfied in their jobs since they strive to take responsibilities in their lives. This changes when the responsibilities wear-off and they realize time is running out, and they have not achieved what they desired. This is during their 40s where the majority are struck by middle-age crisis. The situation changes in their 50s which conforms to Eichar, Brady & Fortinski (1991) findings. Individual perception is a process that shows how people organize, interpret and react to their sensory impressions in and attempt of giving meaning the surrounding environment. Perception is the basis upon which the behaviors of individuals are founded, and the perceived world of individuals surpasses the real world. Perception is a factor that influences ethical decision making and in it are the experiences, motives, attitudes, interests and expectations of the individual relative to the decision to be made. The perceiver targets the decision to be made on grounds of novelty, proximity and similarity. Through observation, individuals tend to be judgmental based on the interpretation of whether the observed behavior is either internal or external. This is known as the attribution theory, and it influences ethical decision making to a large extent. In real life, people can see and experience a similar event but interpret it differently. There are different forms of perception that influence decision making. The selective approach is where individuals make decisions based on their likes, interests, background and attitude. The horns effect, on the other hand, involves decision making based on a single characteristic. This has a negative impact on the decisions made as all options are not fully evaluated. It is similar to stereotypes. Decision making as a process is influenced by the values held by the individual, their perception and needs. The continued decision making using this factors leads to the behavior of a person. This shows the relationship between values, attitudes and behavior as one leads to the other. The behavior influences the satisfaction level of the individual and job satisfaction lies in this category.